It's your special day so you deserve a luxury vehicle, limousine or party bus that meets your needs with chauffeurs that provide excellent customer service for you and your party. We Proudly Serve the State of North Carolina - Raleigh, Durham, Chapel Hill, Cary, Apex, Wake Forrest and other surrounding areas in Wake, Durham and Chatham Counties. We offer a variety of amenities inside of our vehicles to accommodate the preferences of our clients. Such amenities include, but are not limited to snack and beverage/cocktail bars, state of the art stereo systems with the ability to have custom playlists, television screens, dance poles and lighting, custom decorations and smoke machines. The size of our vehicles can accommodate as little as 1 to as many as 56 persons per vehicle. Just tell us the size of your party, and we will have the best vehicle solution that meets your needs. In addition, any details such as occasion type, theme, etc., will assist us in suggesting the absolute best vehicle for you. For any other needs that you might have, such as reserving a location, our staff is happy to assist you in any way they can to help take care of those particular details for you. All of our vehicles are licensed and insured, and our drivers have the best training in serving our clients' needs. Our company values delivering our clients the absolute best in luxury vehicles, punctuality and customer service. 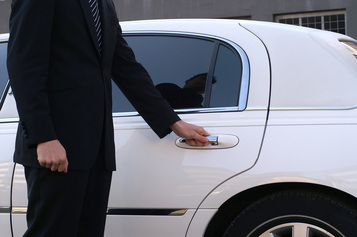 Our chauffeurs will do everything they can to please our guests and to provide them with efficient and enjoyable transportation accommodations. The travel routes we take match the purpose of the driving experience, and our drivers are filled with knowledge about particular ways to get to your destination, as well as popular and special places to recommend you. We offer point to point options in picking up your guests, as well as picking up guests at a centralized location, of which both options are also offered in returning your guests home. No need to waste time running around looking for the best limo service Raleigh has to offer. You already found it. We will provide you with the most professional chauffeuring services at competitive prices. If you want a drive with style and comfort in a classy luxury vehicle, just fill out the form at the top right hand of the screen or call us directly to reserve your limousine, party bus or luxury vehicle today! Call 919-926-9337 and let the best limousine and party bus service in Raleigh NC take you to your destination in comfort and style! 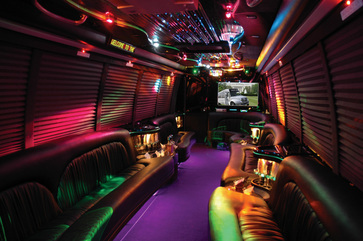 book your PArty Bus or limo service in raleigh nc & Get the best rates today!